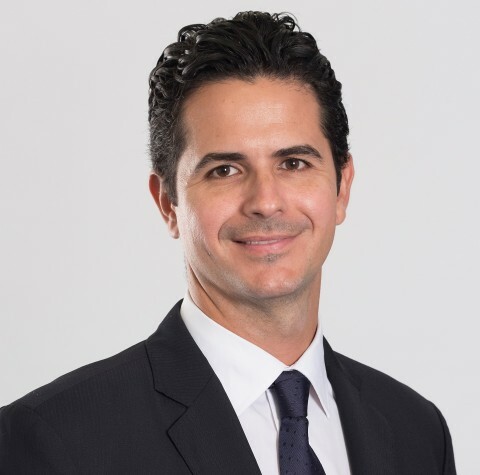 SAN JUAN, Puerto Rico--(BUSINESS WIRE)-- EVERTEC, Inc. (NYSE:EVTC) (“Evertec” or the “Company”) today announced the promotion of Joaquin Castrillo to Executive Vice President and Chief Financial Officer. Mac Schuessler, President and Chief Executive Officer stated, “We believe that cultivating talent from within builds a strong corporate culture, and so I am delighted by Joaquin’s appointment as our new CFO. Joaquin joined the company prior to our IPO and has been a strong leader of our finance team over the past several years. His financial acumen, industry knowledge and company experience, including playing a key role in our recent successful acquisitions, make Joaquin well qualified to provide financial leadership and strategic vision to Evertec as we continue our growth plans." Joaquin Castrillo most recently served as the interim Chief Financial Officer of Evertec. Previously, he served as Vice President of Finance. Prior to joining Evertec in 2012, he worked for PwC in Banking and Capital Markets group in New York and Puerto Rico. Castrillo holds a Bachelor of Business Administration degree with a double concentration in Finance and Accounting from Villanova University in Villanova, Pennsylvania. He also is a Certified Public Accountant. EVERTEC, Inc. (NYSE:EVTC) is a leading full-service transaction processing business in Latin America, providing a broad range of merchant acquiring, payment processing and business solutions services. The Company manages a system of electronic payment networks that process more than two billion transactions annually and offers a comprehensive suite of services for core bank processing, cash processing and technology outsourcing. In addition, Evertec owns and operates the ATH® network, one of the leading personal identification number (“PIN”) debit networks in Latin America. Based in Puerto Rico, the Company operates in 26 Latin American countries and serves a diversified customer base of leading financial institutions, merchants, corporations and government agencies with “mission-critical” technology solutions. For more information, visit www.evertecinc.com.